Image compression is a significant dilemma in digital image processing. JPEG is the ultimate standard for compressing still images in the last few decades. Quantization table in JPEG determines the quality of the image and the performance of the JPEG algorithm. Smartness is capacity to derive or extract knowledge from previous experience and uses the same for current. With this notion in mind, this chapter presents a smart algorithm for quantization table optimization in the JPEG baseline algorithm. Section 13.1 portrays JPEG Standard as a case study where the need for quantization table optimization is described and also we discuss the overview of differential evolution (DE) as a solution for this optimization problem with its strength and weakness. 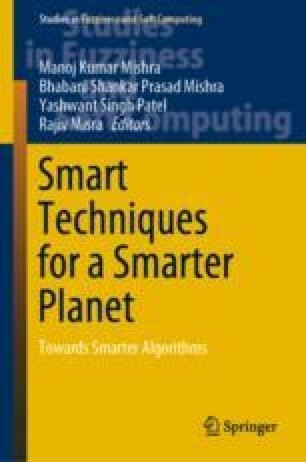 Section 13.2 deals with the need for augmenting knowledge in DE algorithm and explains the design of smart optimization algorithms. Further, we enumerate the methodology for achieving the same. Sections 13.3 and 13.4 compare the applicability of smart optimization algorithms for various test images along with the simulation results, verified using statistical hypothesis testing.